In this day and age it seems like everyone has a smartphone. One of the most popular ways to use our smartphones is to text. According to a Gallup Survey, texting is the most popular way of communicating for Americans under the age of 50. 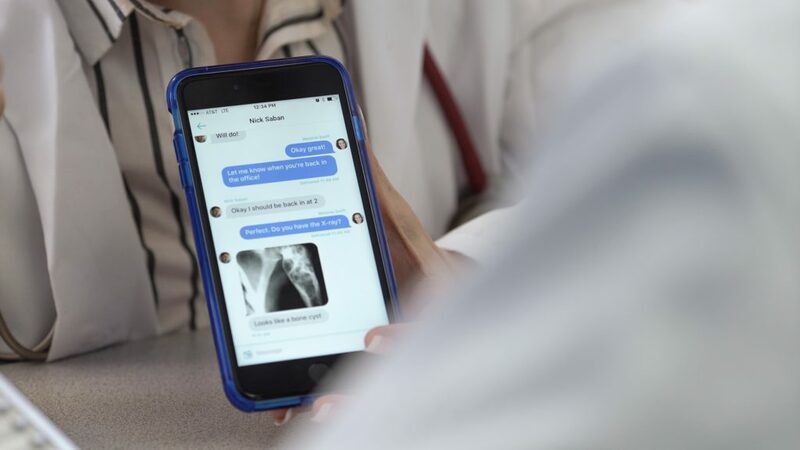 With younger generations continuously using their smartphones for communication with friends and family members it’s a natural progression to begin using text to communicate with their healthcare providers. Being able to text your local clinician/doctor for simple questions like clarification on prescriptions and dosages is a game changer. This gives you a medium you can consistently refer back to with clear written instructions, and you don’t need to worry about misplacing the prescription itself. It also provides patients with a great opportunity to get clarification on other instructions and care plans the doctor may have shared during an office visit. It often happens that you receive so much information in a visit to the doctor’s office that you forget to ask important questions, and OhMD gives patients a tool to get those lingering questions answered quickly and easily. The logical concern with texting is security. With the new demand for the convenience of texting comes privacy and security concerns. If you are already in contact with your healthcare provider and are using SMS texting, you are violating HIPAA. When it comes to HIPAA compliance, texting using the default texting app is not an option. Even though major cellphone carriers offer encryption on data being sent through their servers, text messages remain on the device. If your phone is lost or stolen your protected health information (PHI) could be compromised. In addition to losing your phone anyone can access your messaging app if they have access to the contents of your phone. Even if you have a password on your phone, think about all the people you let use your phone to make calls or text themselves so they have your number. All those people could easily access your messages with your healthcare provider. OhMD not only offers a HIPAA certified texting platform, it’s also free. As a patient you can download and use OhMD for free to communicate with all of your healthcare providers that have the app — your primary care physician, your dentist, your counselor or your home health aid. For patients who are accustomed to having their health data in many different places, this is a welcomed change. Although there are valid concerns regarding HIPAA compliance, texting applications like OhMD offer a secure solution for patients and their care providers to communicate quickly and easily.